Vanilla Coffee Scrub helps relieve skin dryness, irritation and leaves a healthier, nourished and smoothed skin. It eliminates skin imperfections to make your skin fresh and smooth. The product is 100% natural. No parabens or other preservative. No synthetic oils or fragrances. No chemical substances. 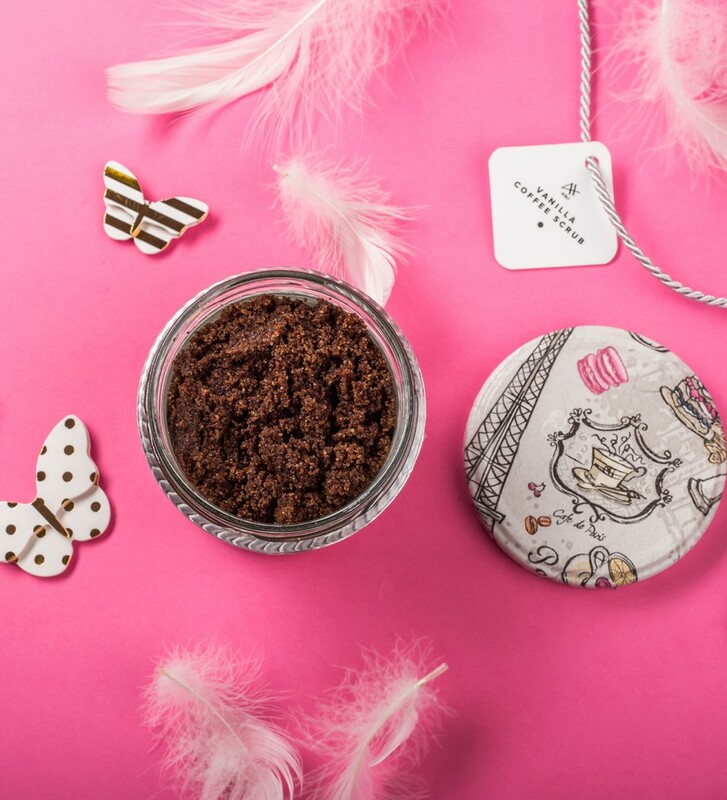 You can rightly say that Vanilla Coffee Scrub time is beautiful skin time! 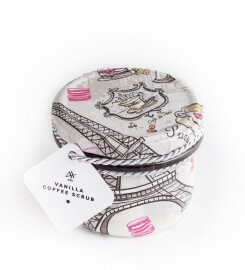 You will love the unique packaging - hand-decorated 200 ml glass jar. Everything is hand-decorated so the packaging ornament may differ a little from the one in the picture. Ground robusta coffee, coffee oil, himalayan pink salt, brown sugar, almond oil, vanilla oil. INCI: Sodium Chloride, Sucrose, Coffea Robusta Seed Powder, Coffea arabica Seed Oil, Prunus Amygdalus Dulcis (Sweet Almond) Oil, Vanilla Planifolia Oil. 2. Apply approximately 2-3 scoops of the scrub in a circular motion to your skin. 3. Leave on for about 4-10 minutes. 4. Rinse off with water. For best results, use 2-3 times per week. It is not recommended to use on face. 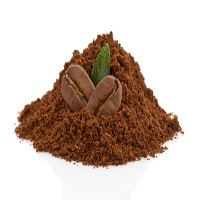 Please note that coffee scrubs are a little messy, so ensure you clean your shower/tub well after use. Our products are all-natural. they do not contain any chemicals. Some ingredients, however, may cause allergic reaction. Patch test is recommended. Apply a litle scoop on the inner side of your wrist and leave it for several minutes. Rinse off with water. If after 24 hours you notice no reaction, use the product on the whole body. If rush occurs seek medical help. Use scrubs before never after depilation. 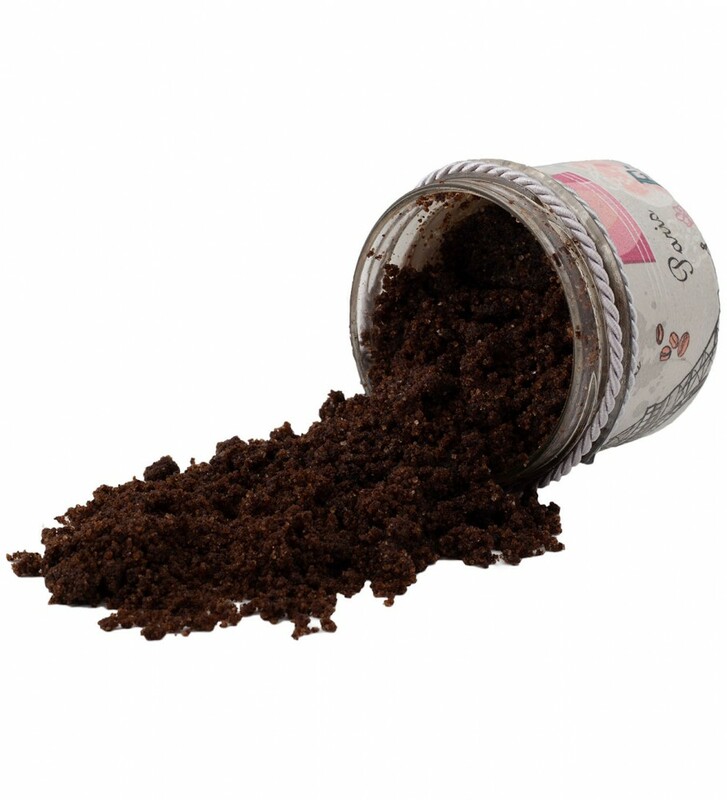 Vanilla Coffee Scrub helps relieve skin dryness, irritation and leaves a healthier, nourished and smoothed skin. It eliminates skin imperfections to make your skin fresh and smooth. 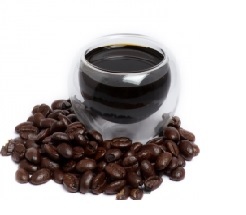 Robusta coffee contains caffeine that stimulates blood flow to help reduce the appearance of stretch marks, eczema, cellulite, age spot, varicose veins, psoriasis, and acne on the skin. 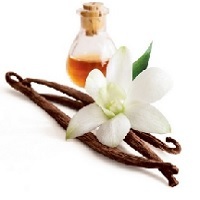 The antioxidant properties of vanilla oil will nourish your skin, preventing it from aging and wrinkling. It will repair worn out skin cells and promote healthy growth of the skin. 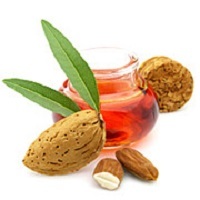 Almond oil has antiseptic and anti-inflammatory properties that fight against the bacteria that cause inflammation and acne. Both oils will not only detoxify and moisturize your dry skin, but also improve your complexion. 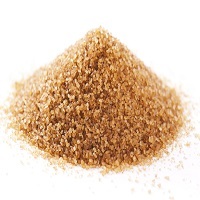 Brown sugar will exfoliate away dead skin cells for a smoother texture and a brighter tone. 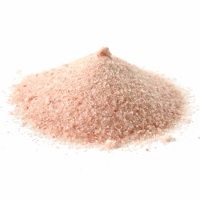 Himalayan pink salt will rejuvenate your skin keeping it soft and supple. Ideally for use as a body scrub. 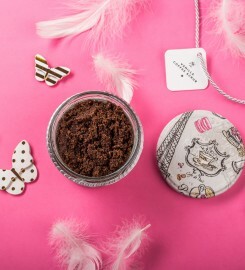 Vanilla Coffee Scrub is the ultimate body scrub for a healthier, nourished and smoothed skin. It comes from the Himalayas. It was created as a result of ocean dryout. It crystalized when the air was clean and free of any pollution.Thanks to traditional method of extraction - rinsing and drying in the sun - it hasn’t lost the minerals. Salt makes skin soft, smooth and supple. It helps get rid of old rough skin, polishes skin and makes it glow. Sugar unclogs the sebaceous gland, cleanses the pores and gently exfoliates dead skin cells. Massaging skin with sugar stimulates blood flow and oxygenate cells. Cane sugar neither irritates skin nor causes allergy. It has got not only amazing aroma but also caffeine. This substance fights against aging and boosts slimming. It stimulates blood flow, nourishes and oxygenate skin cells. It improves the quality of skin, reduces cellulite and imperfections. Despite appearances, it doesn’t smell with almonds. Its aroma is gentle, barely noticeable. It has antiseptic and anti-inflammatory properties. It leaves thin, non-greasy layer that prevents from loosing moisture. It improves complexion, moisturizes dry skin ad detoxify. Sweet smell of vanilla can have a positive effect on those suffering from depression and anxiety disorders. The aroma of coffee may fill your mind with a pleasant feeling but coffee oil can also be used as an external solution to combat harmful effects of free radicals. Enjoy!